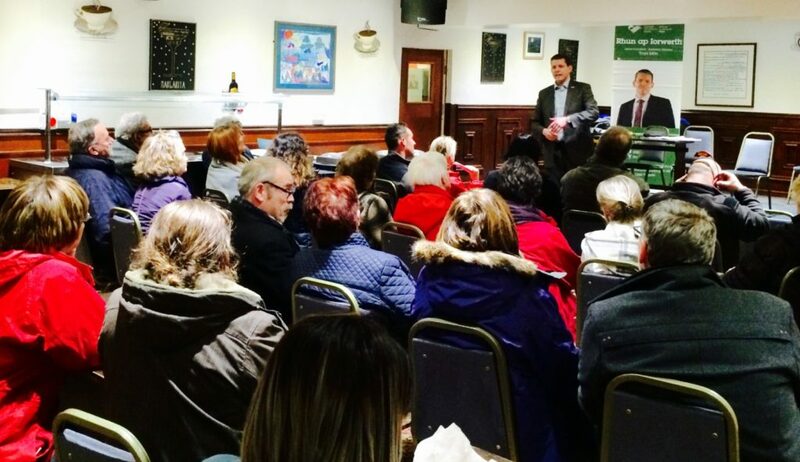 In the latest of his series of open public meetings across the island, Ynys Môn Assembly Member Rhun ap Iorwerth invited residents to the Dinorben Arms in Amlwch to chat about issues that were important to them. “Thank you to everyone who came to the Dinorben Arms and contributed to our discussion on a range of local issues. We spoke, for example, of the need to do more to promote the north of Anglesey as a tourist destination. The Copper Kingdom, Mynydd Parys and Amlwch Port are all wonderful places to visit and to learn more about our industrial past, but we need to do more to attract people here.